A gorgeous and emotionally resonant debut novel about a half-Japanese teen who grapples with social anxiety and her narcissist mother in the wake of a crushing rejection from art school. 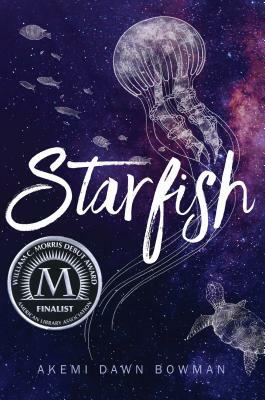 Akemi Dawn Bowman is the author of Starfish and Summer Bird Blue. She is also a Ravenclaw and Star Wars enthusiast, who served in the US Navy for five years and has a BA in social sciences from UNLV. Originally from Las Vegas, she currently lives in Scotland with her husband, two children, and their Pekingese mix.